The young heartthrob offers Elle magazine a special interview about how he sees the end of this important chapter in his life. Find out the thoughts of Robert Pattinson about the end of Twilight together with his teenage dreams. The May issues of the highly acclaimed ELLE magazine granted the Twilight star with the chance to reveal his thoughts about the future. 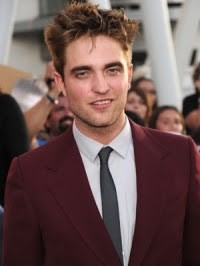 Moreover, fans will have the chance not only to find out the opinion of Robert Pattinson about the end of Twilight, but also things that embarrass him and other intriguing facts. 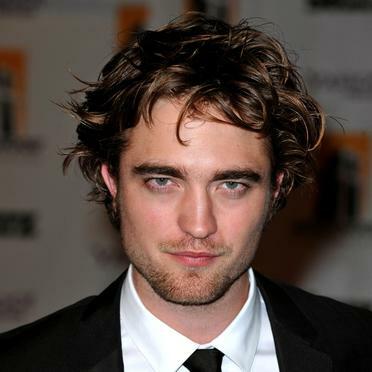 Those who are familiarized with the tremendous popularity of the vampire series know that Rob Patz succeeded in winning the heart of millions of fans with his ingenious performance and catchy character. Besides being considered as one of the hottest young male actors of the moment, he also attracted the attention of prominent directors who more than probably will offer him a chance to show his talent by breathing life into different personalities. The Twilight actor is always eager to talk about his pretty down-to-earth lifestyle along with his qualities and flaws. Learn more about his predictions on how this important period of his life will end. Robert claims that, "You know, when the whole thing dries up and there’s hardly any paparazzi around, I don’t know, in 15 years or something, I like the idea of just one paparazzo coming out and trying to get a picture, and I just beat the sh*t out of him. I mean, out of nowhere, when my picture’s not even worth . . . and I’ve spent all my money, so you can’t sue me!". Rob proved in a series of interviews that he can be funny and has no lofty ideas of a glamorous future in Hollywood. Instead he's realistic and tries to cherish the moment rather than being absorbed by his ambitions. The interview also reveals what are the things that embarrass him, "I guess if you’re constantly in public, you’re not embarrassed about anything. But dancing is my Achilles’ heel, I don’t even try. It’s like, "Come on, dance!" "No, I’m not getting up!" I can freestyle by myself with no one watching. I’m a great dancer then." Robert openly states his lack of dancing skills, however, we know that he still aspired to land on the stage as a rapper rather than a pro dancer. Various media sources and even fans consider him weird, see how he thinks about himself, "I guess I used to be weirder. When you’re confronted with yourself too much, you start to think, Jesus Christ, you’re so f*cking boring. And the more you think you’re boring, the more you become boring. I talk about myself too much now." Furthermore, we have the chance to sneak peek into the teenage dreams of Robert Pattinson as he claims that, "I was always obsessed with Kate Moss. On my bedroom wall I had a poster of Linda Blair and Kate Moss. I always liked Jane Fonda. Who else? Ellen Burstyn." Now that we've found out more on the personality of this young actor, we're definitely looking forward to get hold of more details from his private and professional life and complete our dazzling celeb profile.